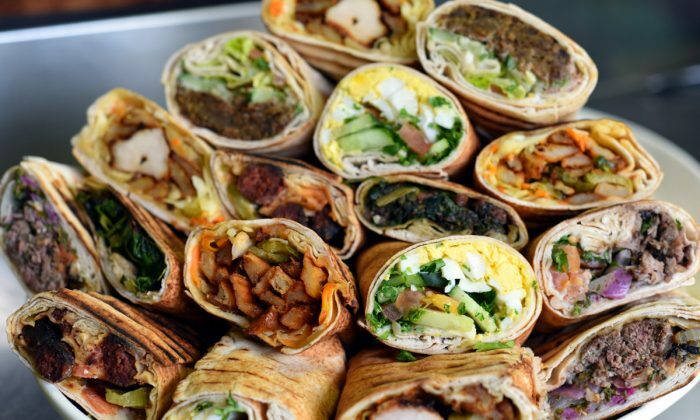 Takeout shop Souk & Sandwich opens today in SoHo. The owner is Tarik Fallous, who owns Arabian French bistro Au Za’atar. Souk & Sandwich, however, serves Lebanese fare only. Sandwich options, using grilled Lebanese bread, include the Hindbi with sautéed chicory roots, caramelized onions, and pickles; Sojuk with spiced Lebanese sausage with toum (garlic aioli), pickles, and tomato. Snacks include Phoenician fries with sumac; Kibbe Kras with cracked wheat, beef, and lamb; and Rekakat Lahme, a fried pastry with beef and pignoli nuts. Mezze, charcoal-grilled meats, and Lebanese stews will also be offered for dinner. The dinner takeout and delivery menu will offer mezze and salads along with Tabeekh Lebanese stews, Mashawi charcoal grilled meats, and Au Za’atar’s popular grilled kafta burger.